When we mentor new breeders we encourage new breeders to learn as much as possible. There is a lot of conflicting information on the internet and sometimes it is hard to decipher all the different opinions. Below are some questions we encourage the breeders we mentor study, think about, and respond. We will be sure to comment on the answers so that all points of view are represented. Some of these basic breeding questions will help new breeders to get off to a new start. 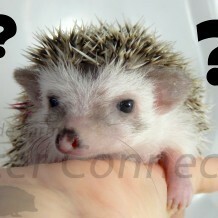 Do you have a veterinarian that has seen your hedgehogs and is willing to see your hedgehog on an emergency basis? If so who and have you spoken with them? How will you decide when your hedgehogs are ready to breed? How will you decide when your hedgehogs are ready to be retired? How will you find homes for your retirees? Describe three reasons why females fail to conceive. Why would a female need Caesarean and how would you tell? Why would a female reject her babies and what should you do? Why would a female cannibalize her babies and what should you do? What should you do if your female fails to nurse or lactate and how can you tell? What are some of the most common problems with pre-weanling babies and how do you treat them?